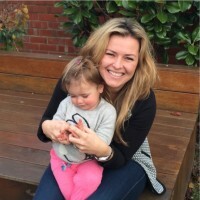 Sometimes your house can feel like it’s overrun with kiddie clutter (I know mine is – I have the bruises from tripping to prove it) so it’s nice when you find a practical fix that doubles as a stylish adult item too. 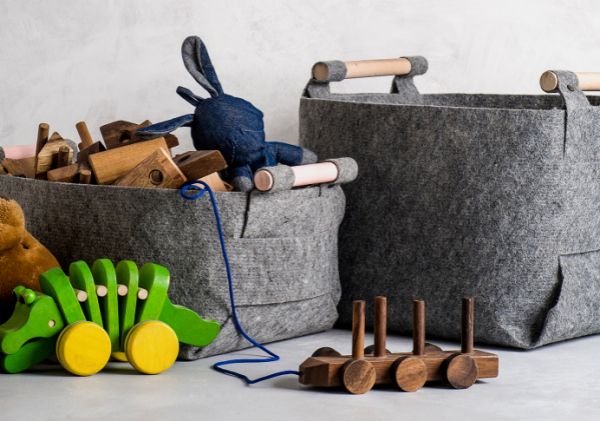 These gorgeous felt storage bins from Loop Design Studio look great while hiding the clutter of toys, books, shoes, magazines – and all those other sneaky tripping hazards. 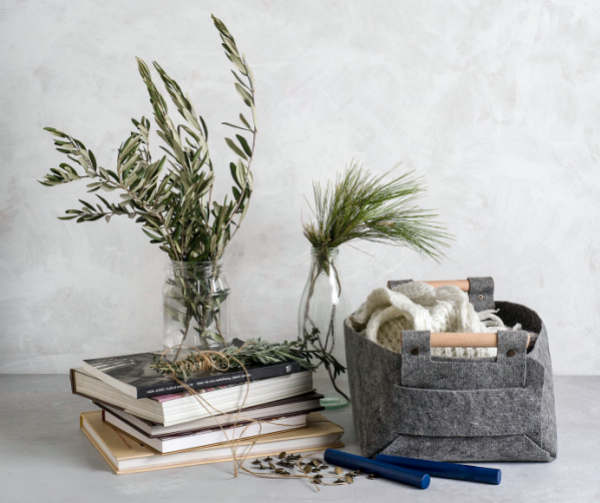 The bins come all the way from a tiny little town in southern Israel where industrial designer Elisheva Manekin creates modern décor items that she thinks will make a place feel more like a home. Elisheva sketches all her own ideas and then finds the perfect natural material to complete her vision. 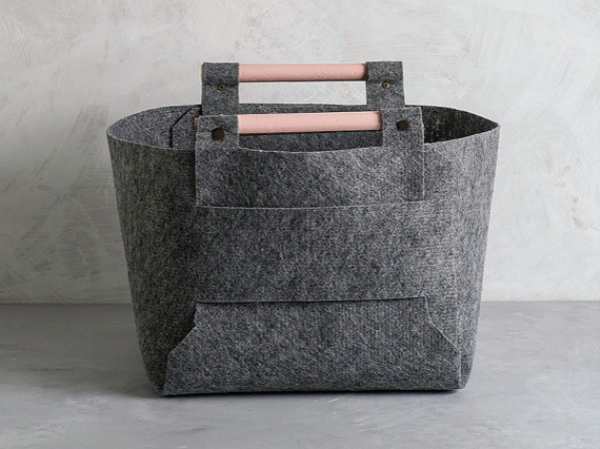 In this case, the material is a durable industrial synthetic felt, which means the bins feel soft but are super strong. I don’t know about you but I love the choice of dark grey felt. It’s the kind of shade that creates a little sense of luxury. And who says storage can’t be stylish? As I write this, I’m vowing to give my house this kind of treatment. Another little bonus is the wooden handles, which come in a range of colours to match your taste, including navy, peach, light blue, black, white or a natural finish. Head to Loop Design Studio to pick one up in medium or large. And while you’re there, check out some of the extra photos on the website for some gorgeous styling ideas. You’ll find yourself wanting to buy the bins for decorative purposes more than anything else! If you’re a fan of Etsy, Loop Design Studio has an online shop there too. As for the price, the medium is $33 and the large is $44 (depending on the currency conversion at the time of purchase), with shipping to Australia available.